A distributed feedback laser (DFB) is a type of laser diode, quantum cascade laser or optical fibre laser where the active region of the device is periodically structured as a diffraction grating. The structure builds a one dimensional interference grating (Bragg scattering) and the grating provides optical feedback for the laser. 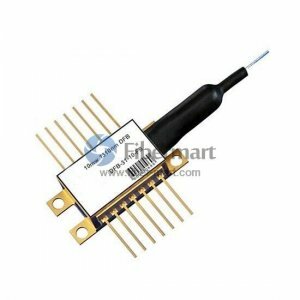 DFB butterfly laser module (DFB) has found wide applications in the LAN, WAN, MAN, CATV transmission system, and long distance DMDW transmission system. It also can be used in the stabilized light source, modulated light source, or other communication equipment such as the CATV transmitter. The item get this name for the 14 pin butterfly package. 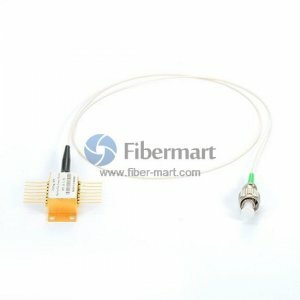 Fiber-Mart DFB butterfly laser module is constructed of hermetically sealed 14 pin butterfly package, a built-in optical isolator, a monitor photodiode, a thermoelectric cooler, single mode pigtails and FC/APC connector. And wavelength of 1310nm, 1490nm, 1550nm, DWDM 1550nm, CATV 1310nm with different output power are available.